In February 1998, we started jigging in a small studio storefront on the edge of Mount Washington/Anderson Township. Our studio was located in a quiet residential neighborhood where the Mount Washington streetcar line ended years ago. After outgrowing that charming space in 2007, we’re now happy to call the Linwood community of Cincinnati our main home. The river bottoms of the area are where Cincinnati’s earliest settlers took their first steps in this beautiful city and the East End of Cincinnati was an Irish “neighborhood” of sorts called “Rat Row”. Wherever we are located, our teaching philosophy and passion for Irish dance is the same. It is the goal of Erickson Academy to teach Irish step dancing in a positive and fun way. Children are grouped by age in small classes for personal attention. We foster friendships in a respectful learning environment and nurture talent to achieve success on every level -- recreationally, socially and competitively! All of our head instructors are certified by An Coimisiun le Rinci Galeacha and have years of experience working with dancers. 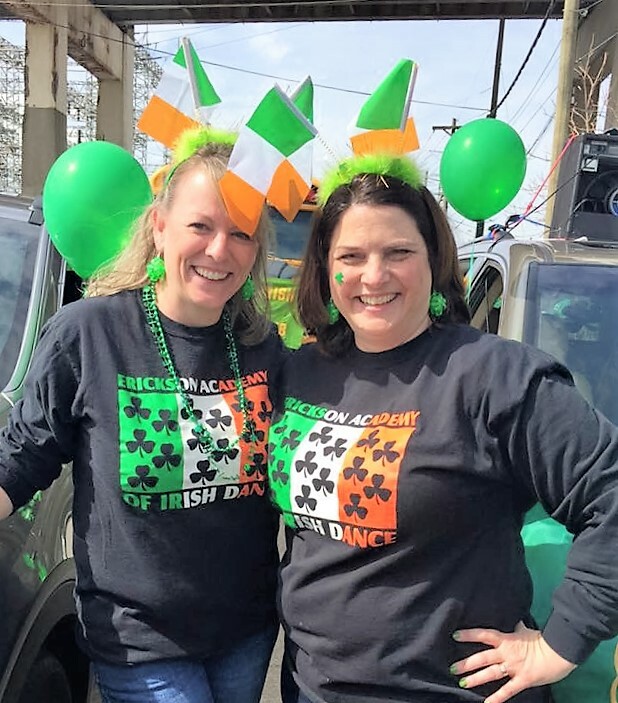 We are fortunate that we are able to do what we love and we hope ALL Erickson Academy dancers love Irish dancing too -- from our alumni to current dancers to the ones we haven't even met yet! Thank you for visiting the Erickson Academy of Irish Dance!